While this sounds easy enough, Google engineers also face challenges in adding support for new languages – Damiba explains that languages that don't follow predictable pronunciation rules (like Swedish) require that Google recruit native speakers to pronounce thousands of individual words. This process has allowed Google to build a machine learning system that can accurately predict how other words will be pronounced when it comes time for Search to recognize user input. Damiba's post goes on to say that the update has already begun rolling out to users, and will finish up within about a week. 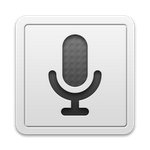 Users running Android 2.2 or later can simply tap the microphone icon on their Google Search widget to start searching, while others will need to download the Voice Search app from Google's Play Store. To see the original post, just click through the link below.